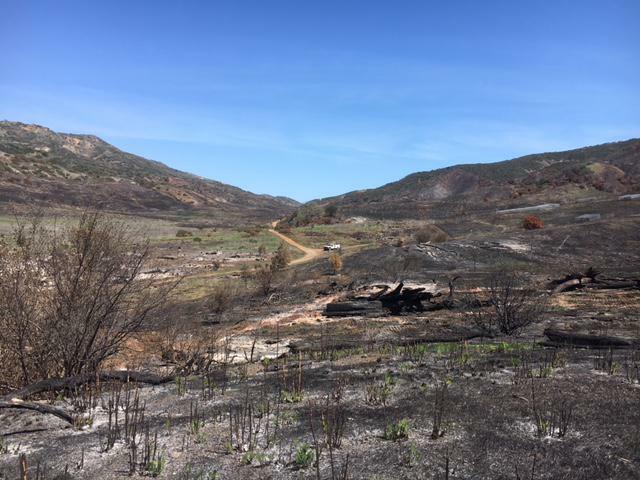 A brush fire which started two weeks ago on one of the Channel Islands is now 100% contained. 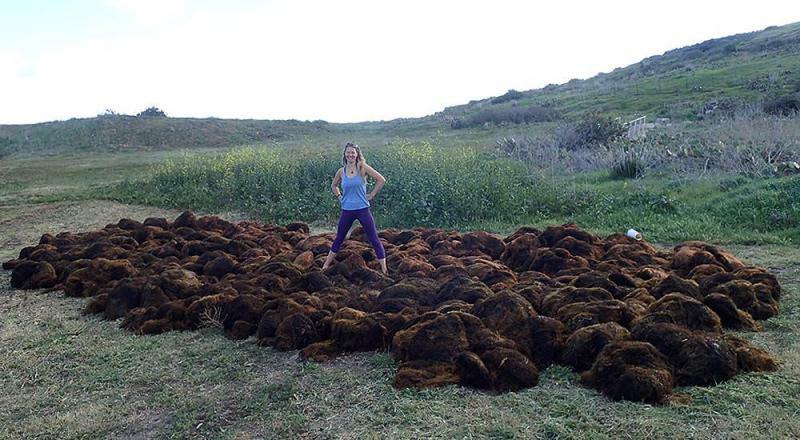 The blaze started March 27th on Santa Cruz Island., which is part of Channel Islands National Park. Park Service officials say embers from a small pile of debris being burned moved into nearby brush. The fire grew to just under 260 acres before it was full contained. 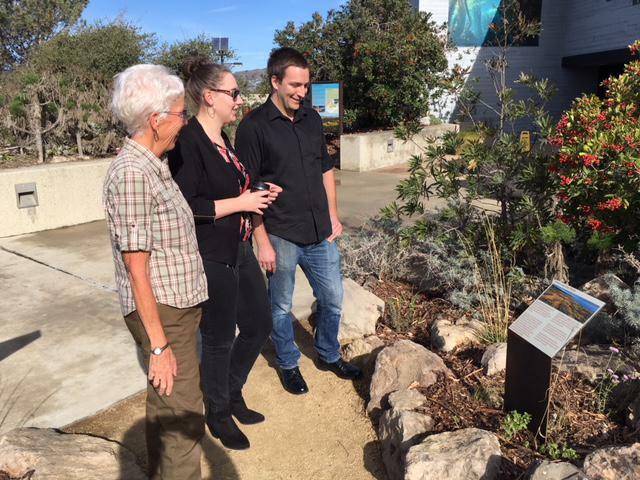 KCLU's Lance Orozco gives us a look at a new demonstration garden on the South Coast intended to give the community ideas about native drought resistant plants they can grow at home. A walk down a short little trail takes you to a unique new South Coast garden, with drought resistant plants which could be the future of landscaping in the region. Tobias is on the job on Santa Cruz Island. He was once a shelter dog in Montana. But, he’s now an environmental superstar. Tobias is a one of a kind “ant-dog”. 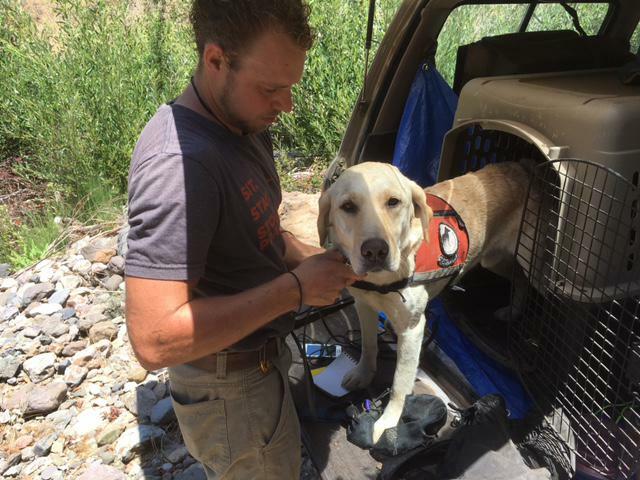 He’s the only dog in the world trained to track down a specific invasive species of ant in the wild. There’s an undersea invasion taking place right off our coastline. 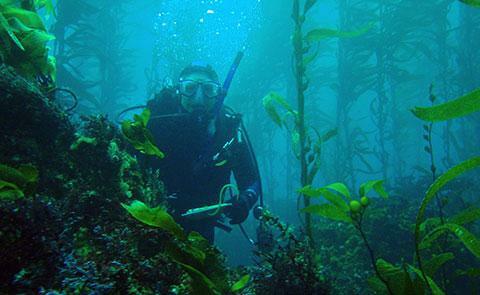 Two types of non-native seaweed are spreading along the California Coast, and are creating special concern for Marine Protected Area and Channel Islands National Park. A small, delicate looking flower has been discovered for the first time on one of the Channel Islands. 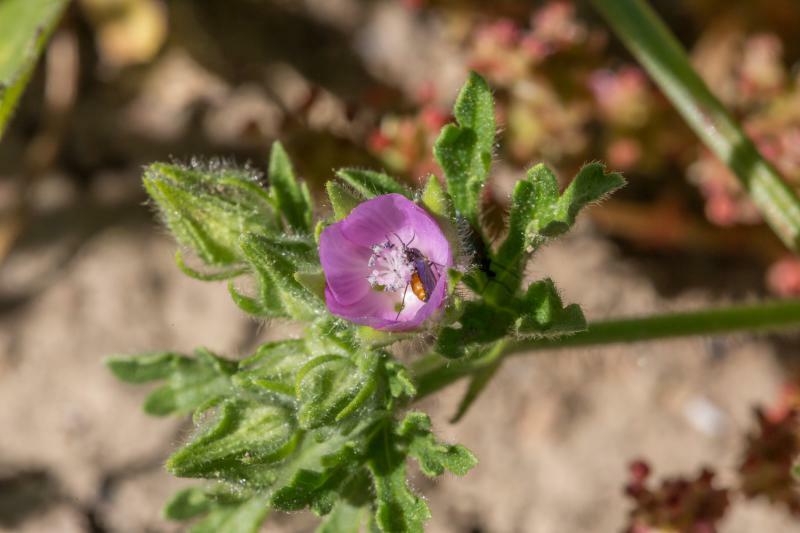 What’s known as the White Mallow has been found on Santa Barbara Island, which is part of Channel Islands National Park. The National Parks Centennial in 2016 led to a spike in park visitation, especially at two national park units in our backyard. The parks system reported a system-wide increase of nearly eight percent in visits last year. But, Channel Islands National park had even better numbers, with a 13% hike in visitation during 2016. 342,000 people visited the park. And, Santa Monica Mountains National Recreation Area, which includes parts of Ventura and Los Angeles Counties, had a nearly 14% increase. It had 906,000 visitors. 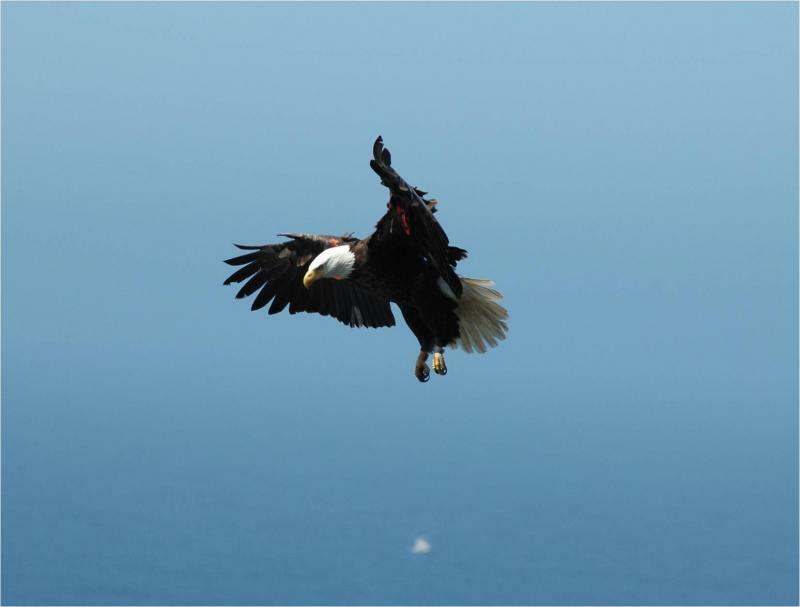 KCLU's Debra Greene reports on a family's visit to Santa Cruz Island as part of their goal to visit 40 national parks this year. 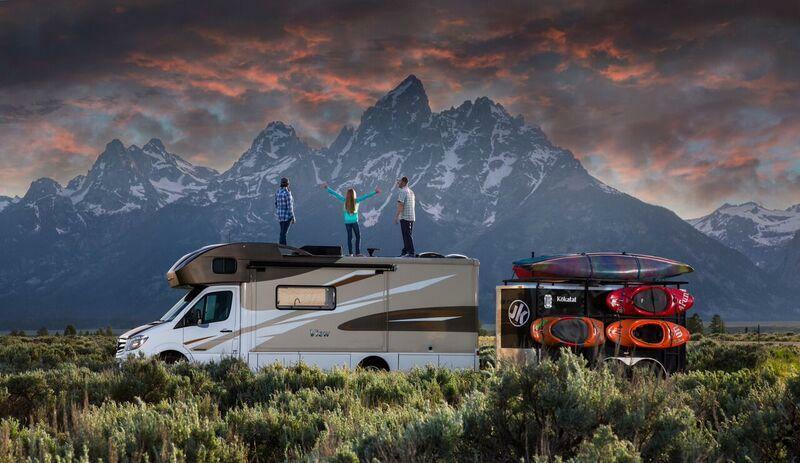 A family is having an adventure of a lifetime as they ditch their house for an RV and travel across the country. They’re now visiting Channel Islands National Park. Kathy Holcombe and her husband, Peter, sold their Colorado home and moved into their 24-foot Winnebago RV with their 12-year-old daughter Abby two and a half years ago. They took their photography business on the road and enrolled their daughter in an online school. It’s a real-life story set in the scenic Channel Islands which has fascinated people for decades, and inspired a popular children’s book, “Island of the Blue Dolphins.” In 1835, a group of Native American people living on San Nicolas Island was brought to the mainland. But, one woman was left behind, spent close to a decade by herself on the remote island. A researcher says previously overlooked documents and church registers are helping us learn more about the native people involved in this incredible story. 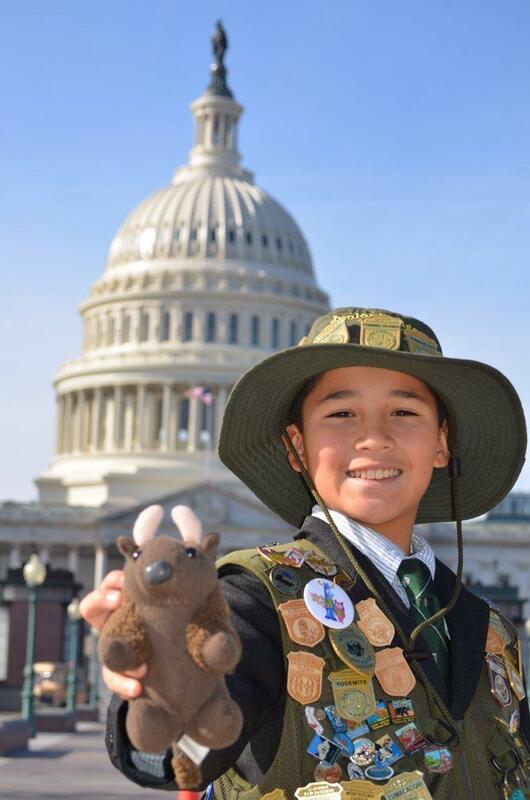 What started as a casual interest in our national parks has led to a South Coast boy becoming a national spokesman for the public resource. Tigran Nahabedian's adventures have included a visit to the White House, appearing in the Rose Parade, and starring in a new national TV commercial highlighting good causes. The 12 year old is now featured in a new kids television show called "Mack & Moxy" airing on PBS and through Netflix. 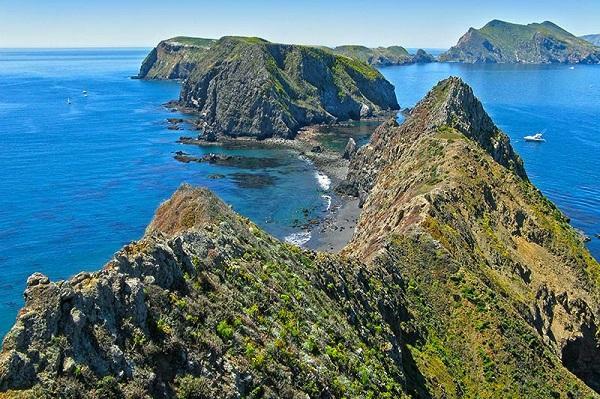 A new program is offering thousands of elementary school students the chance to get a taste of the Channel Islands, as well as the entire National Park system. 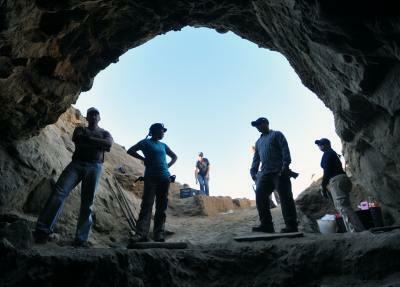 Channel Islands National Park wants kids to learn about the park. So, it’s using $50,000 in grant money to cover the costs of busing Ventura County public school fourth graders to the park’s visitor center in Ventura. KCLU’s Debra Greene has a preview about his talk happening this week. 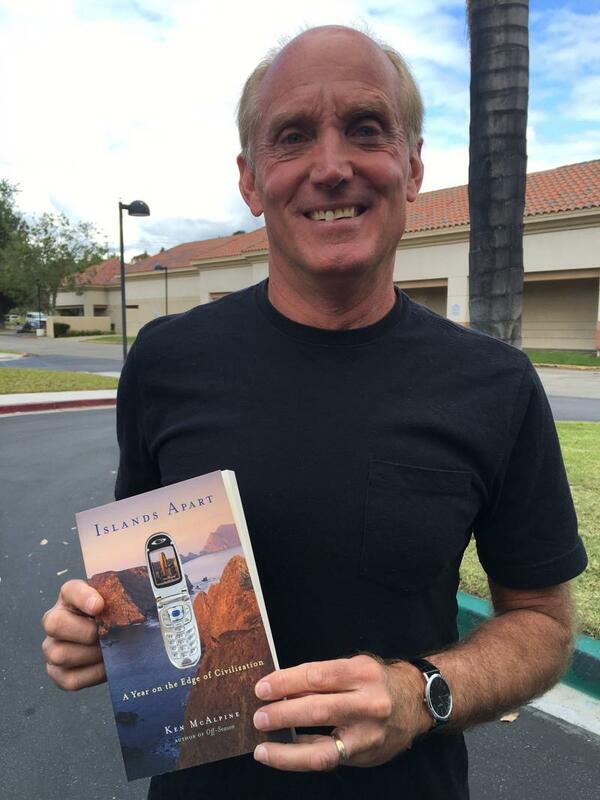 Ken McAlpine of Ventura is reading an excerpt from his book, Islands Apart: A Year on the Edge of Civilization. He describes what it was like for him to camp for a week in solitude on each of the five islands within Channel Islands National Park.